Sandy Aronson was born and raised in Miami Beach, Florida. 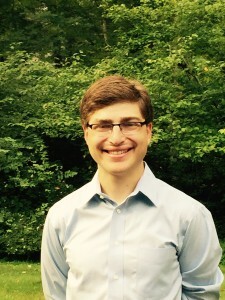 Sandy is a recent graduate of Vanderbilt University in Nashville, Tennessee, where he studied Iberian and Latin American Studies and Jewish Studies. At Vanderbilt, Sandy also served as a Vice President of his campus Hillel and lived in a dorm community dedicated to cultural and linguistic awareness. Sandy’s academic and personal focus in cross-cultural communication motivated him to volunteer in Guatemala and Peru, where he taught in a classroom, and in Argentina, where he worked with a human rights non-profit. Those experiences in South and Central America inspired Sandy to bring his passion for justice back to the U.S. and take his first step into community organizing by working with a Latino justice non-profit in D.C., where he helped organize tenants to fight the abusive and unjust practices of their landlords. 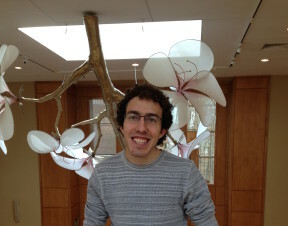 As a JOIN Fellow, Sandy will be continuing his position at Temple Beth Elohim in Wellesley as their Tikkun Olam Fellow, organizing adult and youth engagement in social justice. Danny Blinderman graduated from Wesleyan University in Middletown, Connecticut in 2014 and is excited to be spending more time in New England’s venerable center, Boston. At school, he majored in Social Studies, and enthusiastically took on additional coursework in Constitutional Law, Jewish History and Political Science. Danny has a passion for working on issues of racial, gender, and economic justice. He worked on campaigns on Wesleyan’s campus for tuition equity and sexual assault awareness and prevention. That experience, along with the organizing training he got as a regional co-chair with J Street U, attracted him to the JOIN for Justice Fellowship. As a JOIN fellow, Danny hopes to continue to empower people to advocate for themselves and their communities in his position as an organizer with the Naugatuck Valley Project. 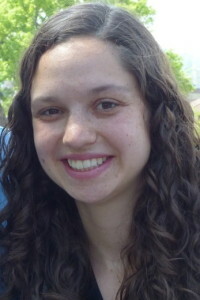 Ariel Branz is a recent graduate of Tufts University, where she studied Community Health and International Relations. At Tufts, she channeled her passion for social justice into organizing for Tufts Labor Coalition’s Justice for Janitors campaign, volunteer work with low-income community members at LIFT in Somerville, and a water supply project in El Salvador with Engineers Without Borders. Her favorite part of all of these projects was building communities and seeing the life they take on as people work together toward bigger goals. Ariel’s desire to firmly integrate her own Jewish identity into her pursuit of social justice drew her to JOIN. As a JOIN fellow, she is thrilled to be a community organizer at St. Stephen’s Youth Programs. Originally from Colorado, she enjoys hiking, cooking, speaking Spanish, and trying new things. Roz Freeman has been living in Somerville since 2012, and is looking forward to continuing to delve into social justice work in Boston! After graduating from Skidmore College, majoring in Environmental Science, Roz first pursued her interest in sustainable agriculture and a just food system by working at an educational organic farm on Long Island. Since moving to Boston, her passion for food system change led her to CommonWealth Kitchen (formerly CropCircle Kitchen), a shared kitchen and culinary incubator supporting local economic growth in Dorchester. There, her many different roles have allowed her to focus all aspects of a just food system including workforce development, food processing, and entrepreneurship. The JOIN fellowship will support Roz as she deepens her work with CommonWealth Kitchen. Hannah Klein graduated in 2015 from H averford College, with a degree in Anthropology and a concentration in Gender & Sexuality Studies. While at Haverford, Hannah worked as part of the Women*s Center, where she was able to develop and grow her passion for working with communities around gender-related issues and sexual assault support and prevention work. Before starting college, Hannah spent 9 months in Israel as part of Habonim Dror’s Workshop program, learning about the kibbutz movement, issues in Israeli society, educational activism, and collective living structures. Since that year, Hannah has remained an active member of Habonim, which has helped teach her tools of organizing as well as how to approach her social justice passions through a lens of Jewish values. Hannah is working this year at Jewish Alliance for Law and Social Action, where she hopes to continue this exploration of applying Judaism to community building and her commitment to social justice. Liz Krushnic grew up in Newton, Massachusetts and earned a BA in Feminist, Gender and Sexuality Studies from Wesleyan University in 2010. There Liz organized with several feminist student groups and served as Wesleyan’s first Sexual Assault Response Team Intern. After graduating, Liz decided to get her hands dirty and began working as an organic vegetable farmer. 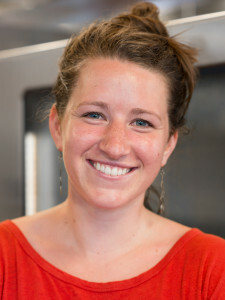 For the last two years, Liz has been able to combine her love of food, farming, and social justice as an AmeriCorps member at the East Boston Neighborhood Health Center’s Let’s Get Movin’ Program as an after school fitness and nutrition program leader, garden coordinator, and case manager. As a JOIN fellow, Liz will be a Community and Youth Organizer at Boston Workmen’s Circle Center for Jewish Culture and Social Justice. Ari Pomerantz was born and raised in Washington D.C. and is committed to organizing work that learns from the past, recognizes and honors the people who have laid down groundwork before us, and that centers self -as well as- societal transformation. Ari has been a part of youth-led community organizing efforts to combat gentrification and LGBT homelessness in DC and has worked with trans and LGB people living with HIV to challenge injustices in access to medical care and social services in the District. Through collaborative work on newsletters and correspondence with trans and gender non-conforming people incarcerated in the DC Jail and the Virginia Department of Corrections, Ari has worked to build relationships and community that breaks through institutionalized isolation in order to share information and strategies to help incarcerated trans people get their needs met and get free. 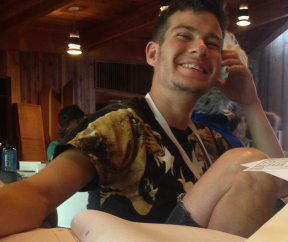 Ari is excited to continue the work of relationship building as a resident organizer for the Moishe Kavod House. 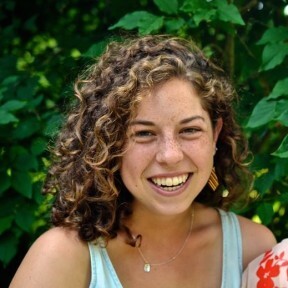 Maddy Popkin is thrilled to continue learning through organizing and community building this year with JOIN. As a fellow, they are working with the SHARE labor union in Worcester, putting their Bundist family roots to good use. Their educational background is in critical interdisciplinary studies, centered around queerness, gender, and race, as is their experience in anti-oppression organizing. They believe deeply in youth work and are a camp counselor by extensive training and at heart. In relocating to Boston, Maddy will join their family in New England and hopes to create a home within the radical queer Jewish community there, too. 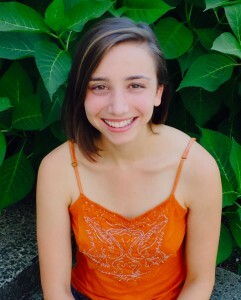 Lily Siegel hails from Chatham, New York and is a 2014 graduate of Brandeis University. She majored in Hebrew Language and Literature and minored in Women’s & Gender Studies. 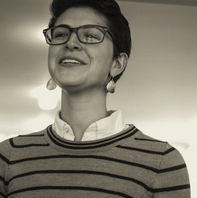 At Brandeis, Lily was able to learn and use organizing skills to grow the Brandeis Reconstructionist Organization. Additionally, Lily was inspired to learn more about organizing from the sexual assault and awareness campaigns on campus as well as through her work at a domestic violence support center in Israel during her time studying abroad. 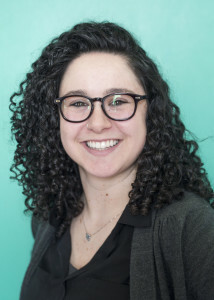 As a JOIN Fellow, she is very excited to be continuing her current position and passion for organizing in the Boston Jewish Community at Jewish Big Brothers Big Sisters. 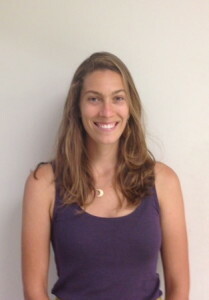 Becky Wasserman grew up in Riverdale, NY and graduated from Middlebury College ‘14 as an Environmental Studies major with a focus in Religion and Philosophy. She wrote her senior thesis about the role of Jewish synagogues in the sustainable food movement. After graduation, Becky served as a New Sector Alliance RISE Fellow at Safe Havens Interfaith Partnership Against Domestic Violence, where she developed a new volunteer program to mobilize faith communities in Greater Boston to take action against domestic violence. Her deepest life passion is tackling climate change, and in August 2015, she started working with NextGen Climate-NH as a youth organizer, where she is helping young people around New Hampshire build power for climate justice and pressure presidential candidates to adopt strong climate policies.